CHEONGJU, North Chungcheong Province -- A newborn baby was found dead in the toilet bowl of a restroom at a shopping mall in the city of Cheongju, central South Korea, on Tuesday, police said. 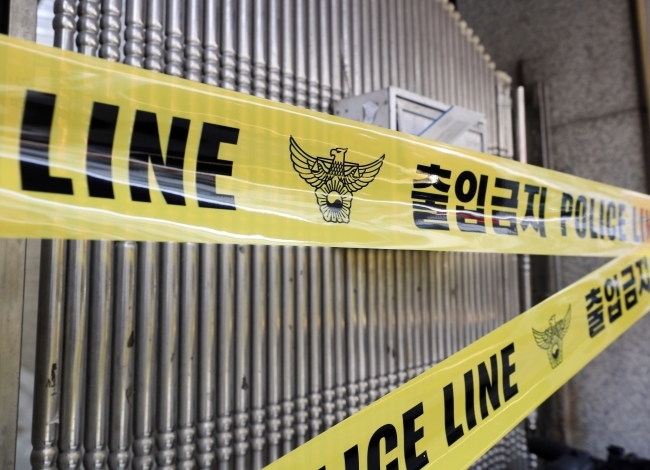 The Heungdeok Police Station in the city in North Chungcheong Province said the body of the baby girl was discovered around 1:10 p.m. by a plumber who was there to fix a toilet bowl that had been clogged for three to four days. When the plumber broke the toilet bowl, the body of the 25-centimeter-long baby was found dumped inside, according to the owner of the mall, who reported the case to the police. Police believe the baby girl was born prematurely given that she had the placenta and umbilical cord attached, and they plan to ask the National Forensic Service to conduct an autopsy on the body to find out the cause of death.